It’s all eyes on The Star in Frisco, and no, we’re not talking about the Dallas Cowboys. The cuisine selection at The Star continues to hit it out of the park, or should we say score touchdowns? From Cane Rosso and Neighborhood Services to Tupelo Honey Southern Kitchen & Bar and Mi Cocina, there is truly something for everyone, but two of the newest additions might just be our favorites. Zaytinya, meaning olive oil in Turkish, is one of the newest restaurants to join the exquisite dining options at The Star. Michelin-rated chef José Andrés prepares small plates of Turkish, Greek and Lebanese cuisine. From the vegetables to the variety of meats to the classic hummus and pita, you won’t be disappointed. 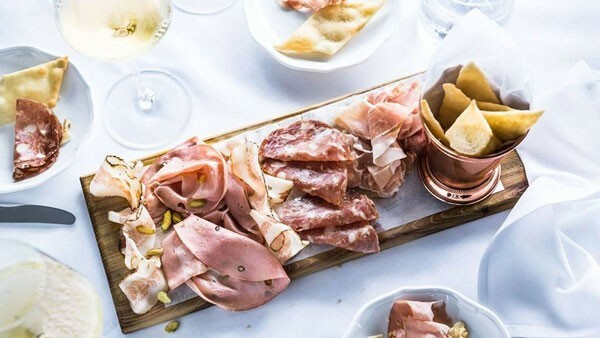 You can’t go to The Star without dining at the all-new restaurant, Da Mario, providing customers with authentic Italian fare and a wine list like no other. We recommend that at least one person at your table get the fettuccine made table-side in a giant, flaming wheel of Parmigiano-Reggiano. Need we say more?! Consider this a staycation because this experience will have you feeling like you’re traipsing through Italy.